The odd story of Cincinnato was not unusual in the confusion of the early 70's Italian musical scene: signed to a major label, PDU, this group of unknown and little experienced musicians had the chance of releasing an album and then disappeared. 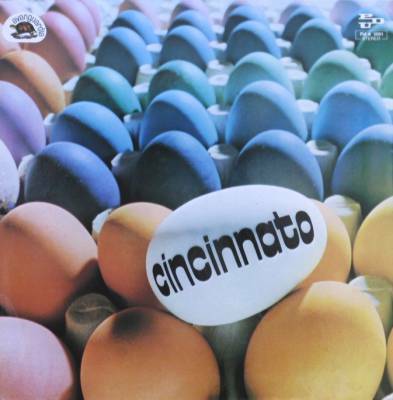 The group was from near Varese, and had previously played since 1970 as Eros Natura, but the record company suggested a change of name, and Cincinnato came out in 1972. Their label PDU is remembered by Italian collectors because of their distribution of German cosmic classics like the ones on Ohr and Kosmische Kuriere labels, and this was (along with Logan Dwight's sole album) one of their very limited ventures into prog territory. The album was recorded in just three days, in a single take; side A includes three instrumental tracks that can easily described as jazz-rock or in some cases simply jazz (as in Esperanto), built on piano and with good guitar playing by Gianni Fantuzzi. Side B contains a long track, L'ebete, more than 20 minutes long, with a good vocal beginning (vocals are uncredited on the cover, the voice was by keyboardist Urbanelli), that evolves in a jazz-influenced instrumental part but doesn't lose its prog influences. A disjointed album that contains good playing and that nice long track, but unfortunately unknown to many fans, being very difficult to find before the recent CD reissue. The group split in 1973 when Urbanelli and Vanetti quit; the only member having had some success is drummer Donato Scolese, who played with Franco Battiato in the 80's and then returned to the jazz club circuit. Since 2010 two of the original members, Giacomo Urbanelli and Gianni Fantuzzi, along with Franco Erenti (keyboards) and Paolo Burattin (bass), which had already collaborated with the band in the 70's, started the Thauma Cincinnato project and issued in 2016 a self-produced CD, L'essere e l'auriga, mixing modern sounds with some old-styled progressive atmospheres. Cincinnato is a very rare album and never reissued on vinyl, not even counterfeited until the recent 2012 AMS reissue came out.. Apparently only 10,000 copies were printed and only around 1,000 of them were sold. The album has a very original gatefold fully laminated cover that carries the label's "Avanguardia" series turtle logo in the top left corner. The 2006 CD reissue includes an unreleased live recording from an Eros Natura concert, along with two new tracks recorded by the original band members. 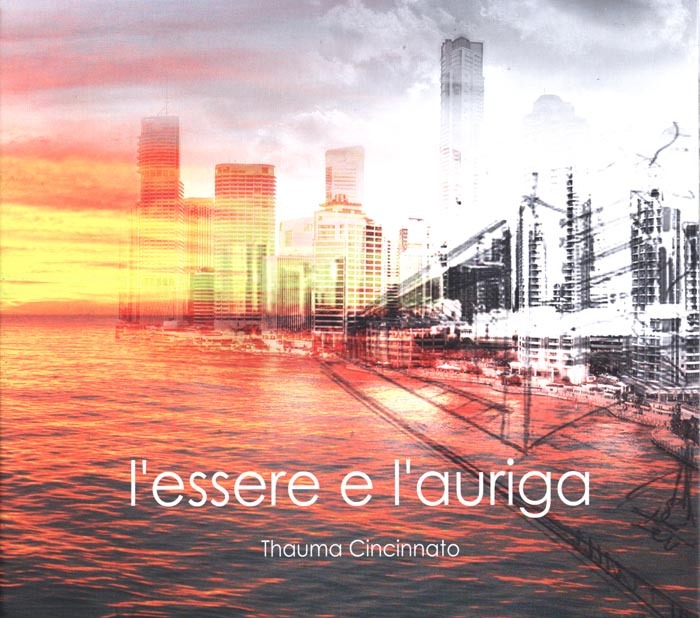 The Thauma Cincinnato CD, L'essere e l'auriga, was released by the band in 2016 with a mini-LP gatefold cover and only sold privately. 1-How was Cincinnato born? Did you play together before? Each of us started on his own, playing in amateur bands, and we had different musical experiences. Before Cincinnato the group was called Eros Natura and had another bass player, but when we had to record the album, our record company had doubts on the name and suggested us to change it, so Cincinnato came out. 2-And when did this happen? In late 1972, while Eros Natura existed since 1970, formed by the interest for rock music that has grown in the sixties. Three of us came from Marnate, a small town of 5000 inhabitants near Varese, that like a small Nashville had an incredible number of rock groups. 3-How did your recording deal with PDU come out ? A friend told us that PDU was searching for new groups for some demo recordings, so we sent them a tape and after a week we were invited in Lugano to talk about an LP with the father of Mina [PDU was owned by the popular singer Mina and her family]. 4-Did you have a live activity? Very small, as Eros Natura we supported Beggars Opera in Cardano al Campo (VA), and under the new name of Cincinnato only a concert in Cittadella. Looking back at those years, I think we had to play much more to promote us. 5-And how did PDU promote your album? The promotion was minimal, the record was played for a while by the radio stations, even some important ones like Radio Capodistria, and had good reviews by Franco Fayenz [an important jazz journalist] and by many music magazines like Ciao 2001. 6-Were you satisfied with the final result, or did the record company influence it too much? The record company didn't help us very much, but we were probably not so sure of what to do. In my case, for example, I hadn't made up my mind yet whether I was going to be a rock musician or had to follow my medical studies. 7-The album has two very different sides, did this come from production pressures? Definitely not at all, we had a large choice of tracks ready to record, around fifteen, that came from different inspirations but always in a rock style. 8-What was the reaction to your album, by the critics and the audience? As I told you, the reviews were good, much better than we expected. And also the audiences' reaction, for what we saw in the very few concerts made. The record was pressed, I think, in 10000 copies, and around 1000 of them were sold, but I'm not sure of it and we never had official reports. 9-What happened to Cincinnato after the album came out? Did you play together again? We made some concerts after the LP, but a year later me and the bass player left, while the others kept playing for a while. I gave up playing soon after. 10-Are you still in touch with the past members of the band? 11-Do any unreleased recordings by Cincinnato exist? Nothing, only a live recording of Eros Natura in 1972. 12-Which were your musical tastes and influences? We've grown up listening to both hard rock and jazz rock, but it's difficult to name someone in particular, I could say from Cream to Gentle Giant, from Mahavishnu Orchestra to Area, with a slight touch of Isaac Hayes! The website of Thauma Cincinnato is www.thauma.it. The CD L'essere e l'auriga can be ordered from the Facebook page of the band.